Iri’s body turns into the Grail as Saber fights a desperate battle with Berserker and manages to win, spelling the death of Kariya. Elsewhere, Kiritsugu faces Kirei, who manages to not be stopped by Kiritsugu’s Origin Bullet. Further, as Kiritsugu speeds himself up, Kirei does the same, landing a blow that should have killed Kiritsugu. However, Avalon restores Kiritsugu so that he’s able to make Kirei’s right arm useless. As the two continue to fight, the Grail overflows, causing the floor to collaps and the liquid to spill onto the combatants. It is then that Kiritsugu has a vision of Iri and learns this is the Grail. 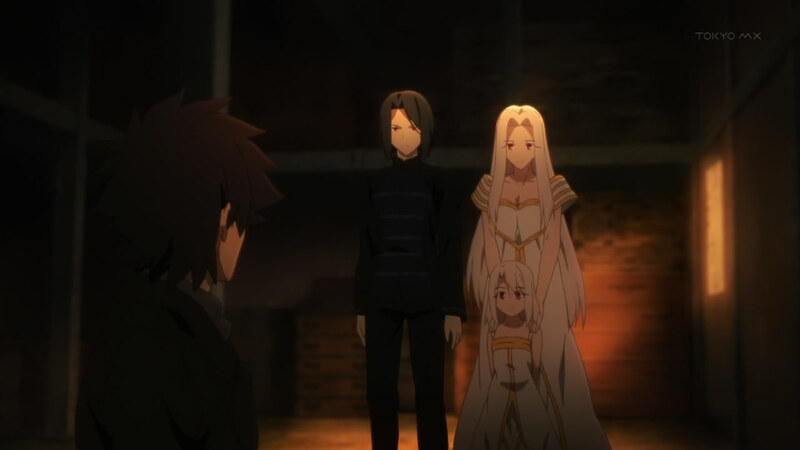 Kiritsugu does not jump at the chance to have his wish granted, but instead asks questions, causing the Grail to change the vision so that Kiritsugu sees that in order to bring his Iri back to life so that he is reunited with her and their daughter Ilya, everyone else on Earth has to die, thus obtaining the peace he desired. Kiritsugu rejects this and after the Grail shows it is the only way, he kills “Ilya,” then strangles “Iri,” but not before the Grail reveals itself to be Angra Mainyu and curses Kiritsugu. The vision over, Kirei has seen it too and doesn’t understand why Kiritsugu rejected the Grail. 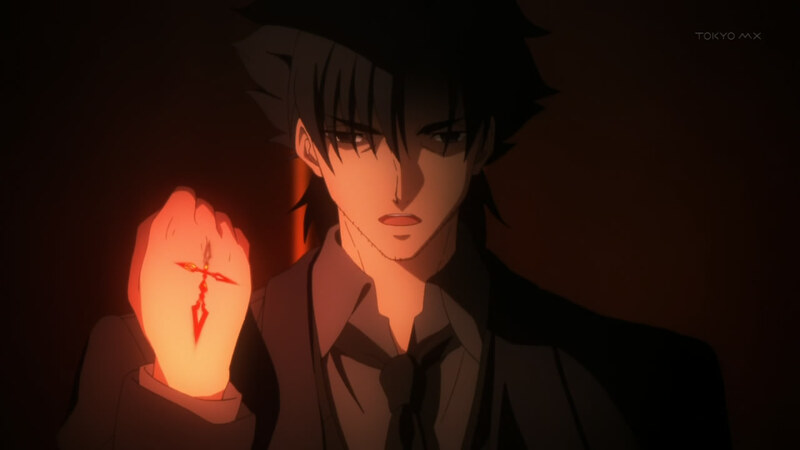 Kiritsugu shoots Kirei and heads to the Grail, where he finds Saber being taunted by Archer. He uses his two Command Spells to order Saber to do what she doesn’t want to do — destroy the Grail. Well, this was a jacked up episode for sure, and there have been many of those. 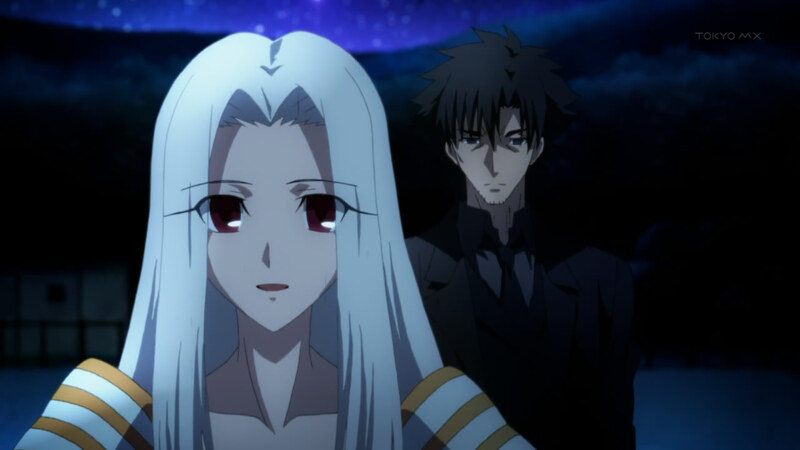 Basically, Kiritsugu having to kill both Ilya’s and Iri’s images was messed up enough. However, being the assassin that he is, he’s had to kill people he’s loved before. 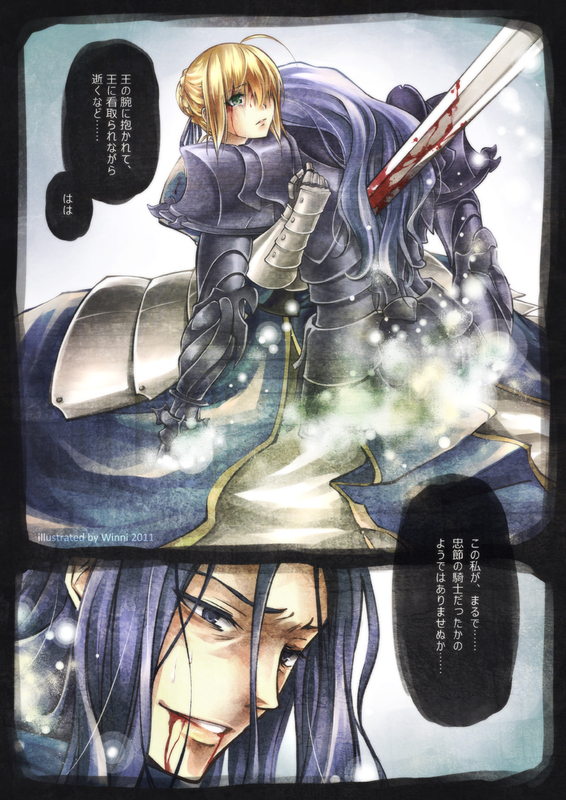 The fight between Saber and Berserker was over so quickly, and without any of the conversation and flashback that I had expected to see. 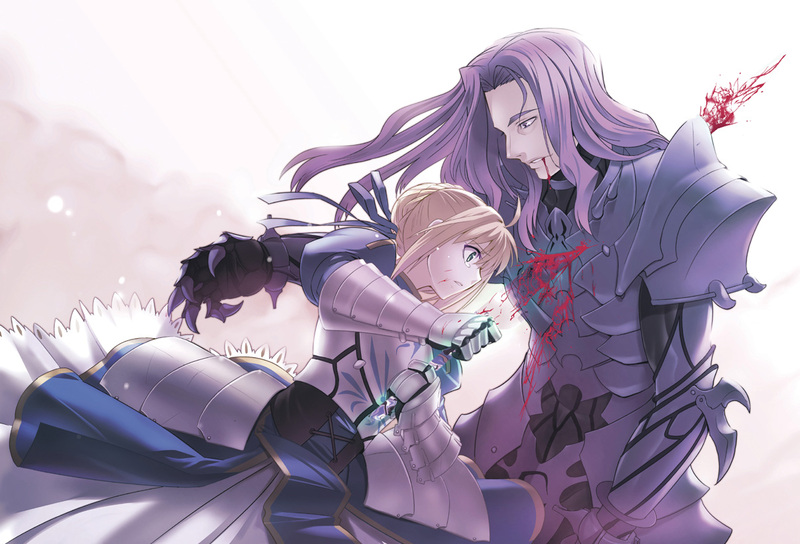 I figured that we’d have seen Saber and Lancelot working together, then the events that led to Lancelot becoming Berserker. Oh well. The fight between Archer and Saber was nothing either. I know you guys have stated that Archer never really gets serious, which is stupid and why he doesn’t win this war. Seriously, when I look back at it, bloody Tokiomi was an absolute arse in all this. Rather than play footsie with the Church and do this whole, stupid Assassin crap, he should have just had Archer go out and wipe out the other Servants immediately. Yeah, there’s Archer’s attitude problem, but the fact of the matter is that he is a Servant. If worse came to worse, Tokiomi could have had the Church give him extra Command Spells to pull it off. 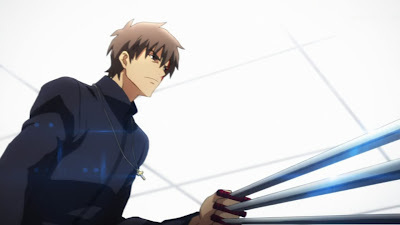 The fight with Kirei and Kiritsugu was more interesting, but I kept thinking, “So, just how does Kirei have so much power to match Kiritsugu’s speed?” Yeah, I know he has all those Command Spells and the mana they produce, but still, it didn’t sit right with me. Oh well. Nothing left now but for the magical stuff to happen to Archer and Kirei, Saber to do her thing, and then Kiritsugu to save Shirou. Well… I told you they would have to cut Lancelot’s flashbacks if they don’t rush them. 😛 Saber had no chance against him. He died because Kariya ran out of mana and the worms inside Kariya died because Berserker wasted too much mana. ROT13-Spoiler: Fur gbgnyyl ybbxf yvxr Fnore Nygre sbe n zbzrag, yby. Might be because I am a novel reader and already listened to the sound drama, which again is superior in sound (surprise, surprise…) to the anime imo, but that fight wasn’t satisfying for me. I also didn’t like the changes they made, how minor they might be. I liked the place on fire more than this room in that Batman movie for example. And i think they could have portrayed it in a better way how Kirei destroyed Kiri’s lungs and heart with that one punch or how much it hurts and destroys Kiritsugu’s body to use Time Alter double accel, let alone triple or square accel. Command Spells are without exaggeration miracles. Pure mana with such great magecraft, Waver even regretted a bit that he probably will never wield such powerful magic ever again. And Kirei had like 10 of them and used them mostly for reinforcement magic(which imo wasn’t shown, besides improving the size of his black keys). Furthermore, he is actually stronger and faster than Kiritsugu. Kiritsugu had Time Alter, Avalon and the Origin Bullets, while Kirei had the Command Spells. It was pretty much evened out. Oh, btw, I should have mentioned what the timer actually means. At Zero hour, Kiritsugu will find Shirou. I should have known that ufotable will probably leave that for the last episode, so I totally miscalculated this last week. Well, this episode proved I was wrong. My memory is kinda fuzzy, but I think in FSN Shirou mentions that his life was pretty much reset when Kiritsugu saved him. Moments ago he somehow desperately stayed alive until he had to give up and was about to die. Note: I am not talking about the Fifth Heaven’s Feel, I am talking about FSN. There is a difference. 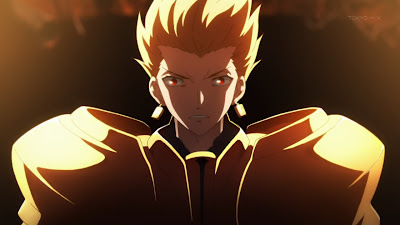 FSN’s main story is not about the “Fifth Holy Grail War”, it’s more about testing Shirou’s determination for his ideal in the Fate-universe and the Holy Grail War. All three routes show the path of Shirou and his dreams, how he deals with them and how he matures during the war. 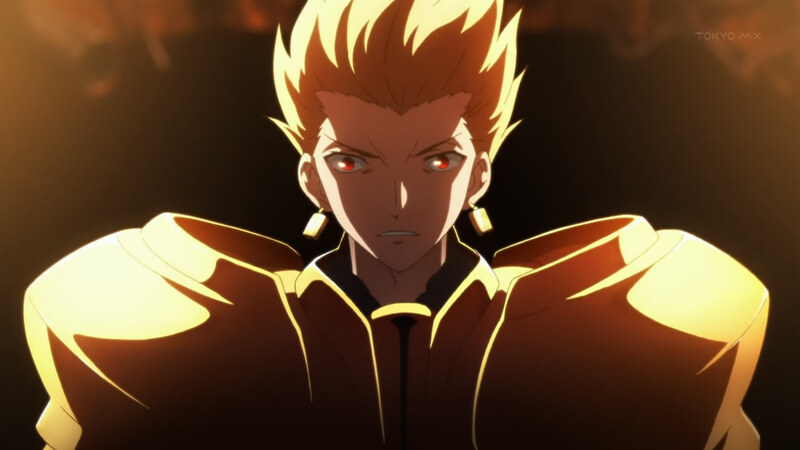 FSN is not only circled around Shirou, it is his story (and that is I-don’t-know-how-often-anymore stated by Word of God) and thus FSN does not exist without him. I guess you meant the 5th war would have happened without him being alive, which I did not deny. Yup. That’s what I mean. @Thanks Farray for all the info, and the image links. worst episode ever. I was literally watching the time bar right up until Saber started her fight against the gold guy. What’s the matter, this episode too deep for you? It’s an adaptation of a Urobuchi light novel based off of a Nasu work, were you expecting nonstop fights or something? It may be because I’m older, but while there were some disappointments to me, I did like the episode. Then again, I do enjoy the character work done here. Its just me. On the whole I think i will end up calling the series as being good, but i get very frustrated with what i consider pointless talk and uninteresting scenes. Its just my preference for what i do and dont enjoy. 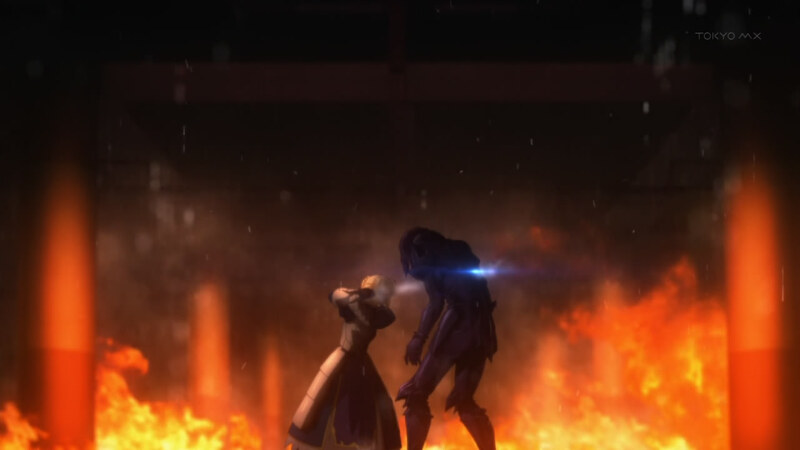 I know there’s still one more episode to go before you do your final assessment of the series, ANB, but I was wondering if you could adress the ratio of melodrama to actual, good storytelling in Fate Zero when you do – from your point of view. Especially for those who, like me, mostly enjoyed FSN but find themselves unwilling to touch FZ with even a 10-foot pole because it just sounds like almost all melodrama. You know, emotions and action ramped up to a ridiculously high level of volatility that is in no way reflected in or earned by a believable presentation of the characters. Gratuitous sensationalism in the treatment of subjects and themes – depiction of violence and suffering simply for its own sake, for example. And i’d be really interested in what you personally think of the grail war as the central conceit of the story in general. Doesn’t it bug anyone else that the whole thing is nothing but a terrible sham that has been going on for ever and generations of heroes and wizards have been apparently helpless or unwilling to challenge or question this fucked up status quo? In any way? Seriously? makes me angry and confused just thinking about it! I don’t know why you are complaining about aspects of FZ that were just as well used in FSN. FZ resembles Heaven’s Feel the most and that’s no surprise, since the writer is the one who made stories like Saya no Uta or Madoka (apart from FZ purposely resembling Heaven’s Feel). Melodrama, lots of violence, meaningless suffering and whatever you are complaining about all happened in FSN, too. To be frank, I don’t know why or what you are exactly critisizing or why you are so pissed off. Give concrete examples that make you feel uncomfortable when seeing FZ compared to FSN. And what is the status quo that is bugging you? ??? Seriously, I lost you somewhere. Anyway, FZ isn’t as bad as you make it sound. There is some “depiction of violence and suffering simply for its own sake”, but usually there is a meaning behind it. 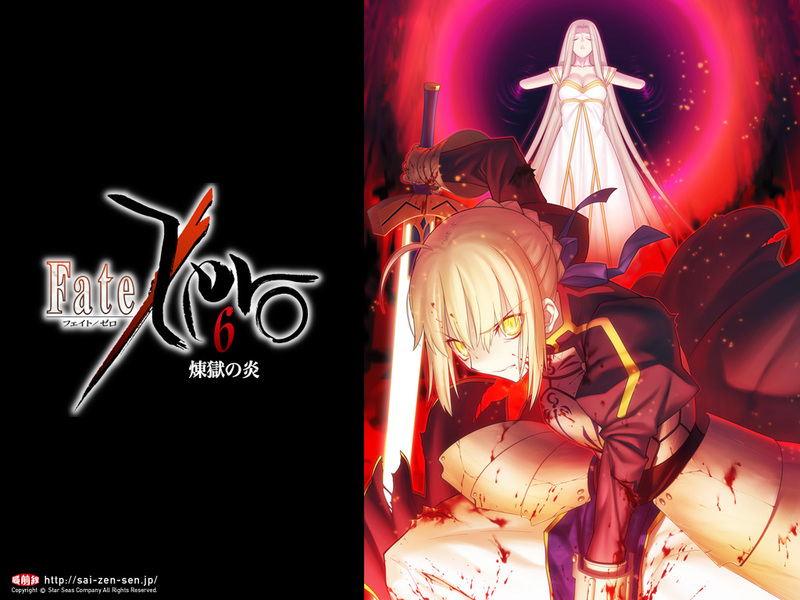 There are clashes of philosophies, believes and points of view and the story isn’t as linear as FSN – there Shirou/Saber (or team Shirou/Saber to some extent) had to deal with pretty much every other Master-Servant in one way or another. And the story was made into story arcs where Shirou and Saber had to deal with the enemy and then move to the next one, who’s patiently waiting in line. In FZ the story is not that linear and is seen that every party plays their own game, trying to get an upperhand in the War. Also, FSN looks a little bit childish, compared to FZ, which is more mature. My recommendation is to give it a try. @ghostbeetle — I’ve never considered FZ to be melodramatic. Something like Kanon, Air, or Clannad are clearly melodramas. That being said, your point about Caster and Ryuunosuke’s brutality could be seen as melodramatic. It never struck me as such because there is such evil in the world. To me, Fate/Zero is a more adult, and believable Grail War, whereas Fate/stay night was “childish” (as evgenidb stated) because amazingly, these high school kids are suddenly thrust into a war. While I don’t have a problem with stories of high school, or even middle school kids doing great deeds, having proper adults in these situations makes more sense. Still, I do think that in my “final thoughts” post, I should mention this. Never believe Studio DEEN. Saber did say she fought Gil in a sea of fire, but the fire was actually mentioned in the novel already and we never saw what she meant with fight. 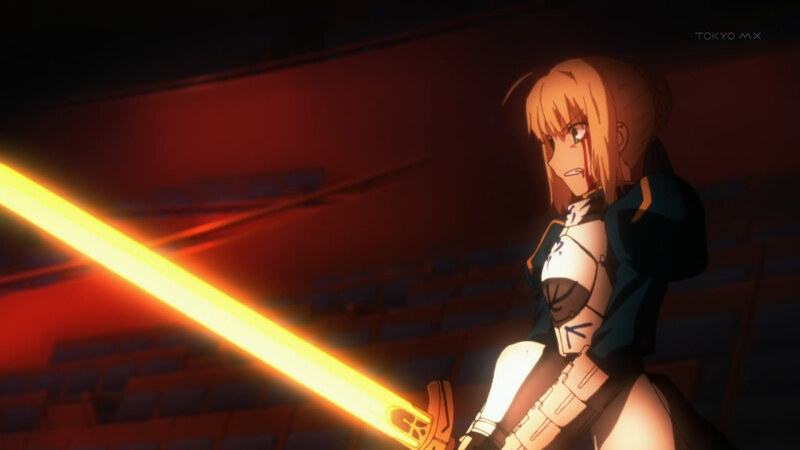 In ep 24 it certainly didn’t look like a fight, but Saber also has a different definition of “conversation”, so she might have seen it as a fight. And no, FSN VN started with Rin. Shirou’s first scene is showing him dreaming of the night where everything around him was on fire. He then dreams of himself in the hospital and Kiritsugu’s offer to adopt him. Afterwards he wakes up and is greeted by Sakura. Aha, thanks. I expected that it would be like in the FSN anime (at least Studio DEEN could have asked for more details).